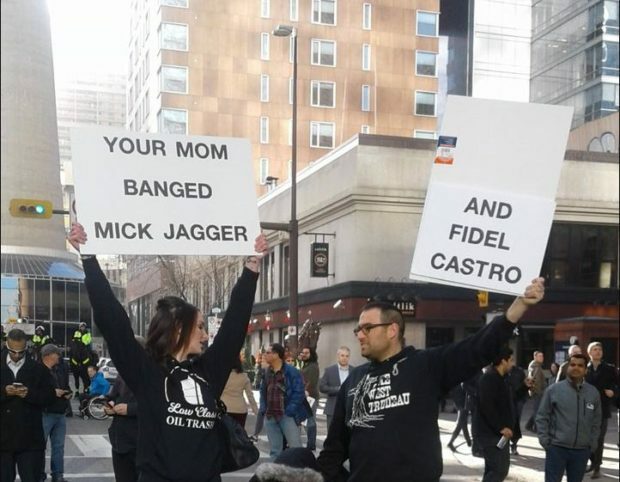 Canadian Prime Minister Justin Trudeau was in Calgary, Alberta, Thursday, prompting a massive protest that shut down a city street. As the Canadian Press reports, Trudeau is in the oil-rich province as the energy sector has been crippled by a petroleum glut that has resulted in Canadian oil fetching $45 (CAD) barrel — about half of the world price that U.S. suppliers are receiving. The discount price is a result of a cruel combination of oversupply and lack of shipping capabilities. The fiscal consequence for the Canadian economy is about $80 million a day in lost revenue, according to Alberta Premier Rachel Notley.